Well, are you ready to roll? In this game, your job is to train Yooyus into the best possible athletes that they can be for the Altador Cup! So don't waste time, there's a whole fan base (including one mildly frenetic Techo) counting on you to succeed! This is your current Yooyu. You won't be moving him, but you will be rotating the stage underneath to get him rolling. 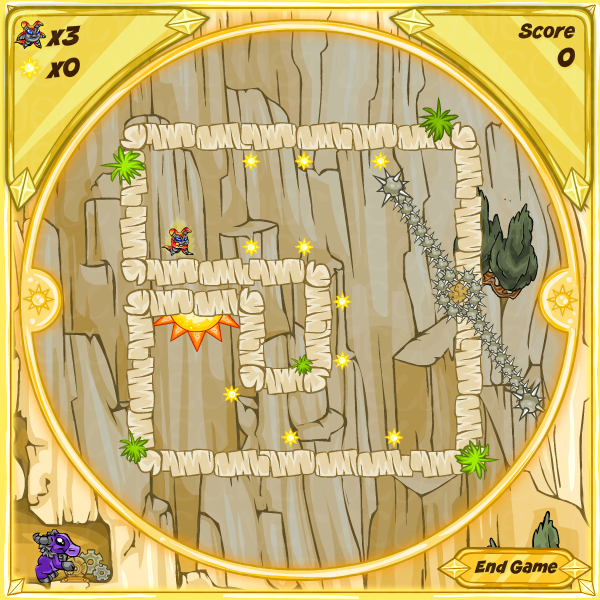 The Spike Chain here is a moving obstacle. You will need to avoid it by rolling your Yooyu very, very carefully. If you touch this, you will lose a life. These little suns are called Sun Tokens. They will earn you extra points and an extra life for every ten you collect. 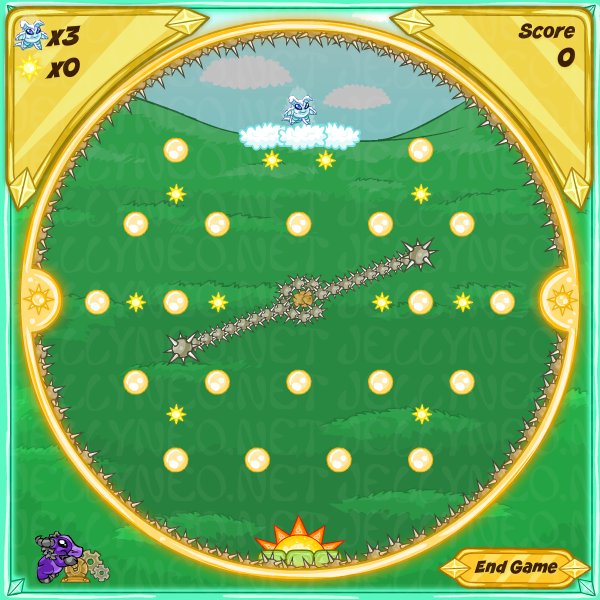 The spikes around the edge of the screen are Spike Balls. These are stationary, but will cost you a life, just like the Spike Chains. This larger sun is the goal. 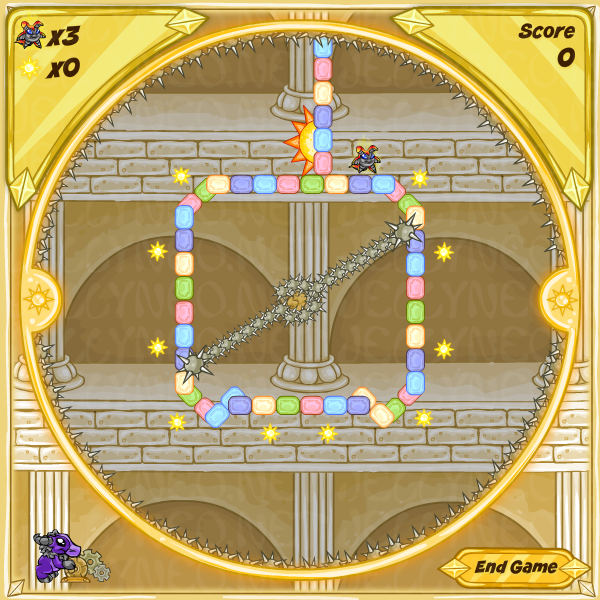 To complete a level, roll your Yooyu into this. These numbers keep track of the number of lives you have left (the Yooyu), and how many Sun Tokens you've collected (the sun). This is just your score. 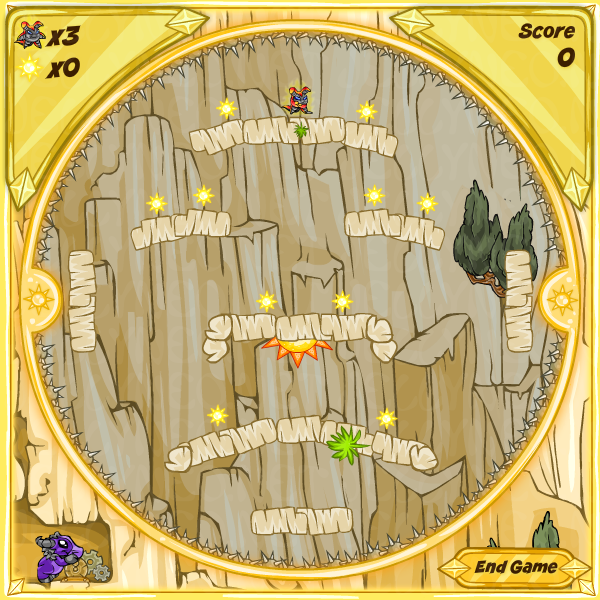 Points are gained by completing levels and collecting Sun Tokens. Overall, this game is pretty simple, and doesn't require too much skill to play. The only tool you'll need in this game is your cursor. 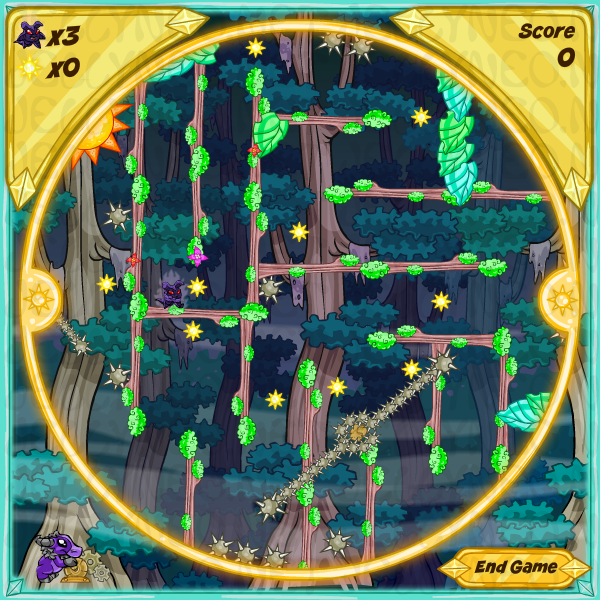 To rotate each stage, click anywhere within the game screen and drag in the direction that you want your stage to rotate. The farther you drag your cursor, the more the angle of the stage will change. So, if you want your Yooyu to move downhill to the right just a little, you would click and drag your cursor just a little to the right. 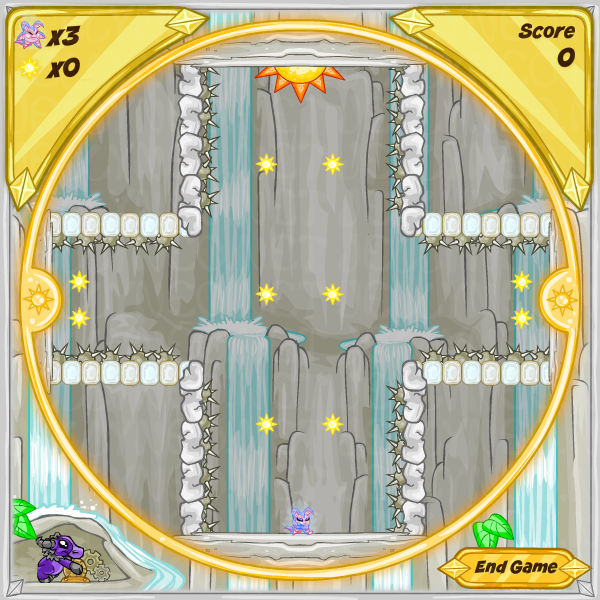 If you wanted your Yooyu to move downhill quite a bit to the left, you would click and drag your cursor a large amount to the left. 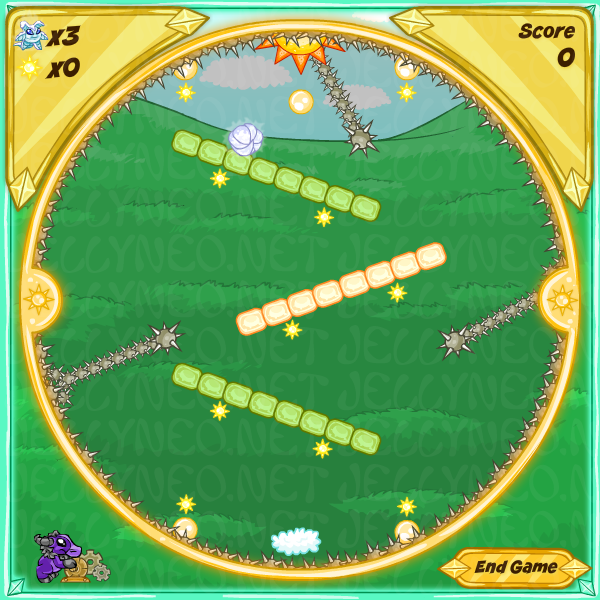 Usually, you will want your Yooyu to move slower, rather than faster. This will give you time to react to the various obstacles that might get in your way. You don't need to collect all of the Sun Tokens to complete the level, so it's not absolutely necessary to collect a Token if you feel that it'd likely cost you a life. It's almost always better to let your Yooyu move slowly on your screen. 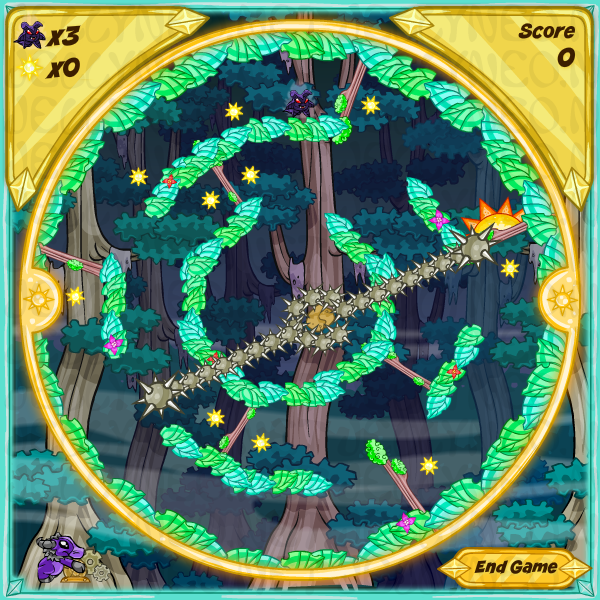 Unless you're dodging a Spike Chain, try to move at a moderate speed. You can only have five extra lives maximum, so you won't earn a sixth life when you grab that last tricky Sun Token. So, there's more of an enormous incentive to be careful with your lives. (As usual, hopefully). The game isn't timed, so there's no need to rush. If you need a break, just find a safe spot for your Yooyu and leave it there. If moving the stage with a mouse is a little difficult, try using a tablet, touchpad, or other kind of navigation device; these may be easier for you. There are ten total levels. If you can beat all of them without losing one life or missing a Sun Token, you can achieve the maximum score of 2450 points. Finally, lag can be a killer. 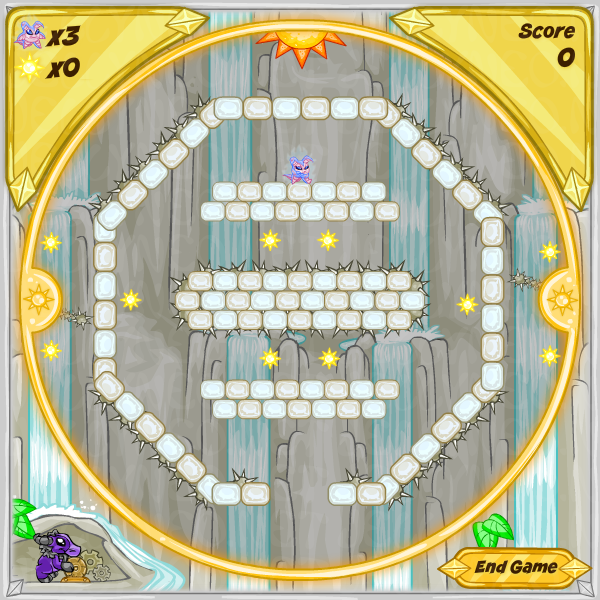 If you're going for a solid high score, it will be beneficial to play on a faster computer. 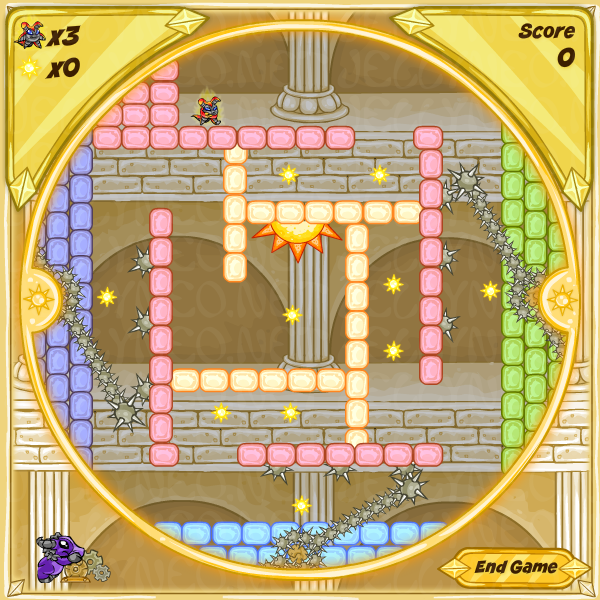 For an unknown reason your Yooyu can, on rare occasions, ignore the level's boundaries and fall, causing you to lose a life. This seems to happen the most frequently when using Chrome, so it may be worth trying a different browser. This page was last updated on June 10, 2018.